Sun, hot air, salty water… This is only a small part of factors responsible for worsening of skin condition. 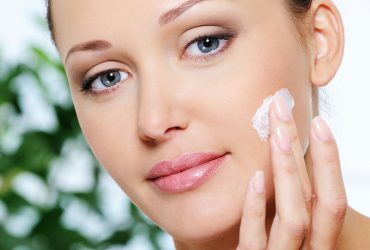 Read below, how you should take care of skin to protect it against discolourations, dryness and wrinkles. Use creams with sun filters. Creams with sun filter provide protection against wrinkles, sunburns and discolourations. UV radiation lowers level of hyaluronic acid, damages collagen fibres and leads to dryness of epidermis. What is more, sun enhances work of melanocytes responsible for creation of discolourations. Cosmetics with sun filter protect skin against acne and redness. For optimal protection use products with SPF 50. On one hand they will protect against sun radiation and on the other they will allow such amount of radiation, which is necessary for production of proper vitamin D dosage. Antioxidants are really friendly substances. They prevent premature ageing of skin and ensure young appearance. Great here will be serum, which composition is much more concentrated and much richer in vitamins and minerals, in contrast to other cosmetics. Try products with content of vitamin C or ferulic acid. Those substances will certainly deal with free radicals, which are molecules created under influence of sun, stress and impurities. They tend to damage healthy skin cells and disturb processes in skin. Make-up removal is a base of evening cleanse. Residues of cosmetics left in pores and on the surface of skin can lead to creation of imperfections. Face can cover with: blackheads, acne, irritations and many other imperfections. Match product with type of skin, its needs and your own preferences. Remember also about morning refreshment of skin. For this treatment you need only some fruit tonic. Hydrated skin is a young skin. Proper level of water in organism provides skin with beautiful look, protects it against premature ageing, wrinkles and discolourations. If you want to avoid such imperfections and have smooth face, systematically moisturise skin. Use creams with hyaluronic acid and drink a lot of water. Hydration on the inside is as important as the one on the outside.